My 1 year old daughter is a true veggie lover. She especially loves anything that is roasted. After making her many batches of roasted veggies I realized that I almost forgot just how good a simply roasted vegetables can be. Sometimes we get so consumed by making a recipe unique, adding all kinds of sauces or spices, that we forget that a vegetable in its truest form is actually very delicious, and good for you! I have found that using coconut oil helps to bring out the sweetness. I understand that this recipe is not necessary earth shattering, but hopefully it will inspire you to rediscover the simplicity of roasted vegetables. 4 large carrots, pealed and sliced into even sized pieces. Preheat your oven to 400 deegrees. Place your cut up veggies in a bowl and drizzle with the melted coconut oil. Toss until all of the veggies are coated. 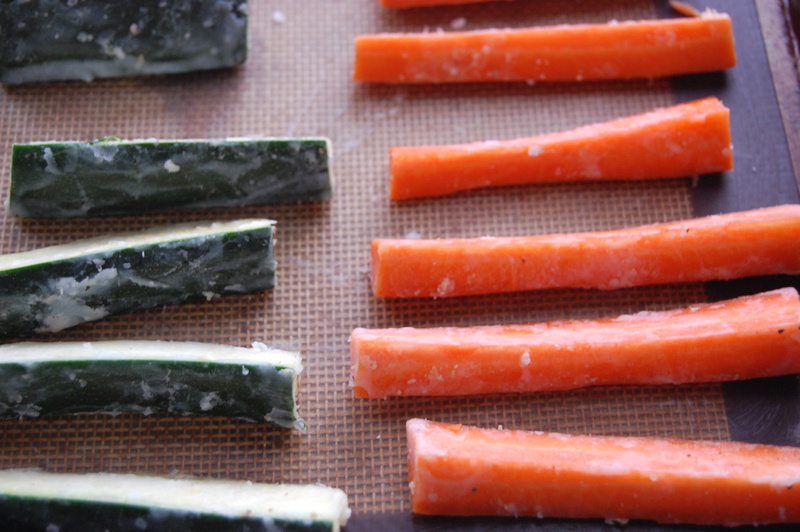 The coconut oil will probably harden slightly onto the carrots and zucchini and that is ok. Sprinkle with salt and pepper. 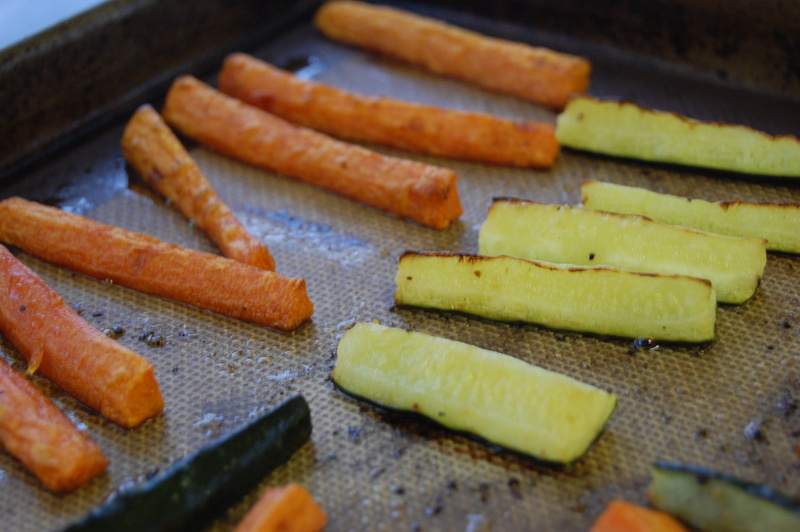 Lay out on parchment paper or a silicone baking sheet and roast for 20-30 minutes turning every 10 minutes. Remove when brown around the edges and tender.